Stark Drive har nu börjar leverera sina cyklar från kina och det finns en hel del omdömen redan. Vi visste ju att priset var en bluff redan från början, att det tillkom dyr frakt, tull och moms vilket bara skrevs i det finstilta. En person i Rumänien berättar att det tog ca ett år innan han fick cykeln och förutom kostnaden på $1247 för cykeln tillkom $200 i frakt och $434 i importkostnader så något kap är det ju inte? Och att köpa en kinesiska elcykel från kina, utan garanti, men en leveranstid på ett år och betala nästan 20000 kr. Jag förstår liksom inte vad det är som lockar. Precis som med mate bike är det baserat på bra reklam snarare än en bra produkt. Det finns många oklarheter med Stark och ju mer man studerar det desto mer misstänksam blir man! 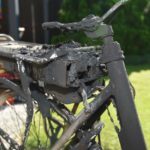 I hans senaste blogginlägg ser man bilder från batteritillverkningen. Antingen har han absolut ingen koll men han ljuger och säger att han har panasonic celler som är “made in Japan”. På bilderna framgår det klart och tydligt att det är blåa celler och alla panasonic celler är gröna och alla sanyo celler är röda så det är en LÖGN! Troligen är det kinesiska celler! Någon som har kollat i sitt batteri? Någon garanti har du ju ändå inte. Jag är egentligen imponerad av Stark och hans ambition men att det är så mycket lögner gör att jag inte litar på märket. Men han är ärlig och transparent om vissa saker och blottar dig gärna i bloggen. Problemen med paypal, om hans kineiska kontakt Lance som stal en massa pengar. Om hur indigogo tog bort hela hans kampanj! Han har haft det tufft. Vi får hoppas att om det går bättre kanske han blir ärligare även med priset. Eller är det för sent? Att batteriet uppenbarligen inte har panasonic celler enligt hans egna bilder. Att elcykeln inte kostar $X utan att det tillkommer frakt, moms och tull men han jämför ändå SITT pris med konkurrenterna (Sondors) vilket inkluderar frakt moms och tull. 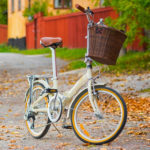 Han jämför också sina cyklar med konkurrenterna vilka har riktiga garanti i landet det säljs i. Garanti hos stark har man ingen rätt till utan bara om han känner för det. Dvs kinesisk garanti. Något han själv fått smaka på av lance men ändå vill han att vi ska tro på han. Att han har ens NÅGON form av verksamhet i sverige! På både trustpilot och facebook uppger han svenska adress även om det är ett kinesiska dropshipping företag med LLC i USA. Tar bort legitima negativa recensioner på Trustpilot genom att hävda är det är fejk kunder även om de är verifiera. Erbjuder belöningar till kunder som skriver (fejkade) positiva recensioner. Some wires had connectors. Some were gummed together with cheap tape. The repair technician contacted Stark. Stark asked for pics. He sent pics proving the issue is a bad controller. He asked Stark for a new controller. They responded by saying they didn’t agree with his assessment and they didn’t like his tone. They were defensive, condescending and rude to both of us. There is still no resolution. I’ve had nothing but problems with customer service. There is either a language barrier or they are just incompetent or they just don’t give a darn about their customer base or all of the above. So it is now 15 months later and I received my bike that I paid $1511 for. Wrong color. They did not send the GPS tracker that I paid $99 for. I was sent a 13Ah battery instead of the 17Ah battery that I paid $149 extra for. The LCD bike computer is not working correctly. Battery hasn’t lasted more than a few months. This product is cheap for good reasons. The Stark bike didn’t include delivery so became a very expensive ordeal with Customs duties etc. After the bike finally arrived, there were some problems. The spokes were loose, the bottom bracket was already broken after 120 km. A pedals is fixed. Repair costs up to now 100 €. From Stark support came only the message I should send the pedals back. It’s a joke. After that, the bike will stay for another year. I ordered a taillight lamp in January. It’s still not there. Very funny Swedish company. If the support were better and the complaints were handled, the bike would be fine. My Experience with Stark Drive Customer Service is very bad! Their e-mail responses are vague and never answering all my questions. I have received one bike with a bent rear brake disc. The Customer Service responded that because I had already put 40km on the bike it might be my own fault. After that answer they ignored my repeated questions about the subject. I probably can buy a disc somewhere, because it is a generic brand, but the trust to Stark is broken. The bike I received was more or less in-line with the quality one would expect for the price. All told, my 500w version with suspension was around $1,050 US delivered to California. I have two issues with the bike that have resulted in a low rating: 1) When the bike arrived, the brakes were not properly adjusted and the disks are warped. “2) Pedal assist: after roughly 5 rides on the bike, the pedal assist stopped working at all. The electric motor can only be engaged by using the throttle. 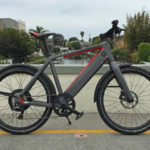 Going forward, I would only buy a bike from an established company that will honor basic warranty requests as this bike is not really usable in its current state. My review is back on the site after STARK filed a number of false claims with Trustpilot that my review was not legitimate. I included my name and order number with the original review but STARK still went ahead and claimed that I was not indeed a legitimate customer even through they have all the data to verify such. I am by no means a STARK hater and am in fact rooting for STARK’s success. But how can a company succeed when they are spending more time and resources trying to muzzle legitimate complaints than focusing on true customer service to ensure the product shipped actually works. I suggest STARK work with customers to repair/address real product failures and the negative reviews will melt away based on the goodwill they engender. Just my suggestion. Stark Drive refuses to acknowledge the $400 that they said was for pre-payment of India duties, that they accepted as pre-payment for India duties was ever actually intended for India duties. Total support/fees paid to receive my Stark Drive are now as follows:a) Total cost to me of $2,292.35. b) Cycle with options as ordered $1,611. c) Import duties of $681.35. Additionally, they said I would not get my fenders that I had previously paid for until I removed my negative review. There it is. Stark Drive conducts business in a wholly unethical manner. I should have seen the red flags and saved my money. It is promised that the bike with 9 AH battery has a range of maximum 60 km depending on driving style and terrain. I weigh 80 kilograms and the track that I actually wanted to drive regularly has 35 km and has some gradients but is completely paved. After about 20 km the battery was empty. I have resold the bike now to a friend price of 300,00 Euro and now I will buy a higher quality pedelec. Although I still like the idea and the concept behind StarkDrive, I feel duped by the extremely low battery power. Selling the bike did not work. The buyer brought it back to me a few days later and wanted his money back. 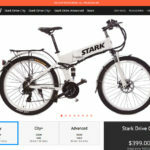 On July 2, 2018, I received an e-mail from Trust Pilot, which included: starkdrive.bike has reported your rating because the company believes the review is not based on any genuine buying or service experience. The content of your review is therefore temporarily hidden from other users. Reason enough for me to reduce the rating to one star. After I sent the evidence to Trust Pilot, the rating was unlocked. Stark Drive seems to be working hard to shut down all negative reviews. decent bike for the price but no support – you are on your own with this product. mostly made of unknown rebranded components of low/average quality but for the price seems OK. The problem is in customer support: there is none. The bike is delivered without documentation and any and all problems with the unit will never be fixed. The company will not send replacement parts, will not provide technical manuals and will simply ignore your emails from the moment they realise that you need help. Everything was going good until Stark drive and UPS delivered to my old address, where the bike was taken by someone. Stark drives “customer support” is a complete joke. Long story short, after they basically told me I’m screwed, they stopped replying to me completely. Very, very unprofessional in my honest opinion. Update: It now seems they are trying to start a lawsuit against me for giving this review. Let me tell you there is no difference between a Chinese bike and this product. It is sold as it is. Only the brand logo is added. i received an email that i need to pay 250 USD more as it is the custom charges in India. Yesterday, i received an email from Logistic company that i need to pay 225 USD more for custom duties. I checked with them and sent a mail to STARK but their answer is that “EARLIER PAYMENT WAS FOR ADDITIONAL SHIPPING CHARGES and i need to pay the taxes in India. It looks as if that it’s just some DISHONEST person with an address is Sweden selling Chinese inferior goods. The CEO of Stark sent an email message to me this morning. He stated that Stark would not send the parts necessary to meet their responsibilities as warrantor of the bike I purchased from his company until I remove my TrustPilot review. Also, he threatened to sue me for libel if I did not edit my review. We could have done much better. Stark must do much better or they will fail. Very disappointed. The battery for the bike they sent me is faulty and can i get any kind of corespondence out of the company? Det har till och med gått så långt att någon skapa en egen webbsida för att kritisera Stark Drive: StarkDriveExperience samt Facebook. Och det finns ytterligare hur mycket utsagor som helst att analysera för den som orkar. Vad tycker du om din Stark Drive? Hur mycket extra fick du betala?